Finding the right traditional-looking media kit for your electric fireplace can be a pain. Amantii offers the perfect solution with their Deluxe Electric Fireplace Media Kit with 15-Piece Birch Wood Log Set. 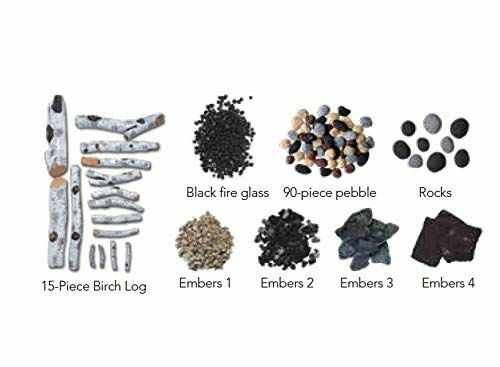 This fourteen piece birch wood log set includes deluxe media, including stone, pebbles, black fire glass, and embers. Improve the appearance of your electric fireplace with this media kit from Amantii.